Apex 1/4'' socket head (Hex-Allen) hex power drive bits, metric from Apex Fastener Tools. Socket head (Hex-Allen) bits from Apex Fastener Tools formally Cooper Tools. The socket head (Hex-Allen) bit is one of the most common screw drives in not only the aviation industry, but the automotive repair, technology and heavy industry sectors. The Apex brand has always stood for quality design and is constructed to last longer than cheaper alternatives. The AM-2.5MM-4 1/4'' Apex Brand Socket Head (Hex-Allen) Power Drive Bits, Metric is one of thousands of quality tooling products available from MRO Tools. 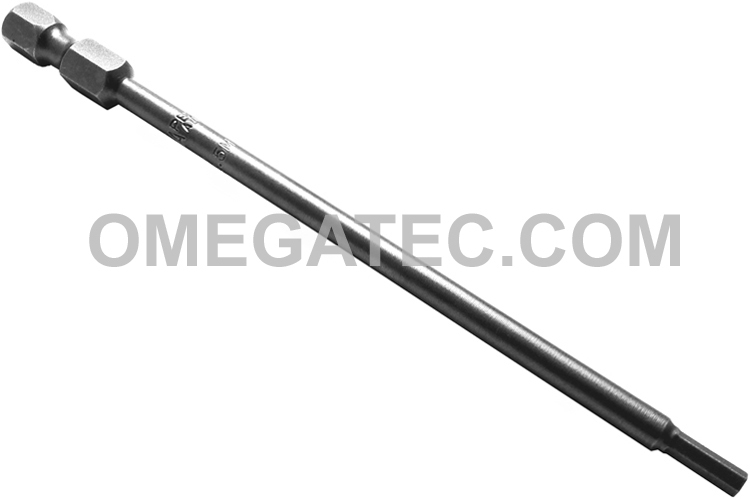 Please browse Apex 1/4'' Socket Head (Hex-Allen) Hex Power Drive Bits, Metric for tools similar to the AM-2.5MM-4 1/4'' Apex Brand Socket Head (Hex-Allen) Power Drive Bits, Metric. AM-2.5MM-4 1/4'' Apex Brand Socket Head (Hex-Allen) Power Drive Bits, Metric description summary: 1/4'' Apex brand socket head (Hex-Allen) hex power drive bits, metric. hex size: 2.5mm overall length (in. 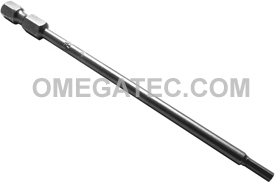 ): 4'' overall length (mm): 102mm Quantity discounts may be available for the AM-2.5MM-4 1/4'' Apex Brand Socket Head (Hex-Allen) Power Drive Bits, Metric. Please contact MRO Tools for details.